Why does design matter and how can it help solve the world's biggest problems? Design is everywhere, so ubiquitous that you might not even notice it. But if you're left-handed and trying to use scissors or a camera made for righties, you see how design changes your world in even the smallest things. Then if you look at the big things, like housing, infrastructure, roads (traffic! ), the shelters we live in and the buildings we work in -- you quickly realize that design (and architecture) can make your life bad or make it good. You can work in a florescent-tube lighted misery box and feel like you're employed by the Soviet Ministry of Pain, or you can move about your well-ventilated office and look outside and see a tree. You can lose your home during an environmental or humanitarian crisis and live in a tent for a year or more, stripped of your privacy and dignity, or you can become empowered and whole and rebuild a home that connects you with your community. These are design decisions that become human decisions. Architects and designers are smart. They've figured this out. They've realized that communities already know how to rebuild after a disaster and just need support, design skills, and infrastructure to create shelters that can survive the next disaster. Unfortunately, we know that 'next' disaster is coming. We live in a time of conflict and war, of global warming, of economic upheaval. As Cynthia Smith, curator of a design exhibit called Design with the Other 90%: CITIES, told me, "close to one billion people live in slums worldwide, and that number is expected to double by 2030." The time to deploy good design is now, because design can address the world's most pressing problems. Thankfully, there is a brave band of global nomads who are at the leading edge of this movement. Would you like to meet a few? 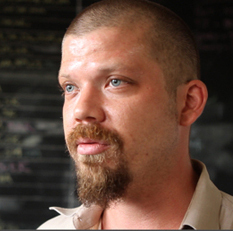 Eric Cesal is the regional program manager of the Port-au-Prince, Haiti office of Architecture for Humanity. He started out in humanitarian design work after Hurricane Katrina, where he volunteered for Architecture for Humanity in Biloxi and New Orleans. He's an analytical theorist and writer who is also practical - he lived in a tent for three months (in Mississippi after Katrina) and set up the AfH Haiti office right after the earthquake. He started there with three people and a couple of laptops; now there are 40 people and dozens of projects to rebuild schools, communities and infrastructure in Haiti. When you meet the founders of Architecture for Humanity, Cameron Sinclair and Kate Stohr, you see the very meaning of dedication, enthusiasm, and focus. These are people on a mission, but they do it with humor and grace. 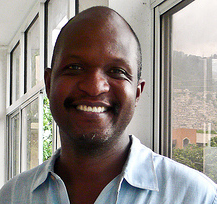 Yves Francois, an architect building schools and other projects in Haiti, was recently named Haitian Entrepreneur of the Year. Yves was born in Haiti but spent most of his childhood in Brooklyn. After earning an architecture degree, he built a thriving architecture career in New York and then, in 2009, made the bold decision to return to Haiti to work for a safer environment for the building trade. Then the 2010 earthquake hit, and he's been there ever since. 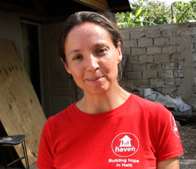 Anne Maguire, CEO of the Haven Partnership, has built homes in Haiti using reclaimed rubble. Anne has worked in Sudan, Pakistan and so many other hot spots around the world. When I meet people like Anne, with their cheerful brand of courage, it's inspiring. "Design for good is design for the good of the people," she memorably said in an interview I did with her. 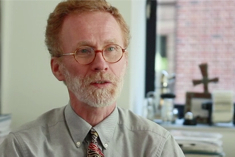 Thomas Fisher, professor of architecture and Dean of the College of Design, University of Minnesota, is leading the charge to create a full-force humanitarian design curriculum at the university level. Elizabeth Hausler, founder of Build Change, is teaching homeowners and engineers in China, Haiti and Indonesia how to retrofit, rebuild and prepare for the next disaster. She started thinking about designing for good on 9/11. "I just felt really compelled to use my engineering skills to benefit humanity," she told me during a podcast interview. All of these people are too modest to call themselves heroes, but their everyday acts of courage are making big changes in the world, driving a global movement that I want to chronicle in a documentary I'm making with Richard Neill called Shelter. A few years ago, when I got divorced, I had to give up my home. I'll never forget the painful rootlessness the lack of shelter brought upon me. Now I admire the designers who find compassion for the unsheltered and who are moved to empower people everywhere with good design. I think that if there's a film that can chronicle this movement it will inspire more architects and designers to get involved, and it will let everybody know that if you support good design, you can support a better world. To support the Shelter project, visit the Kickstarter campaign. To join the design-for-good movement, visit Shelter. Photo credits: Elizabeth Hausler image courtesy Build change. All other images courtesy the Shelter movie project.